If you’ve traveled anywhere with your significant other, there’s a good chance you’ve run into some luggage-related stress along the way. Maybe you over-packed your one checked bag and had to scramble at the counter to stuff the extra weight into your carry-on. 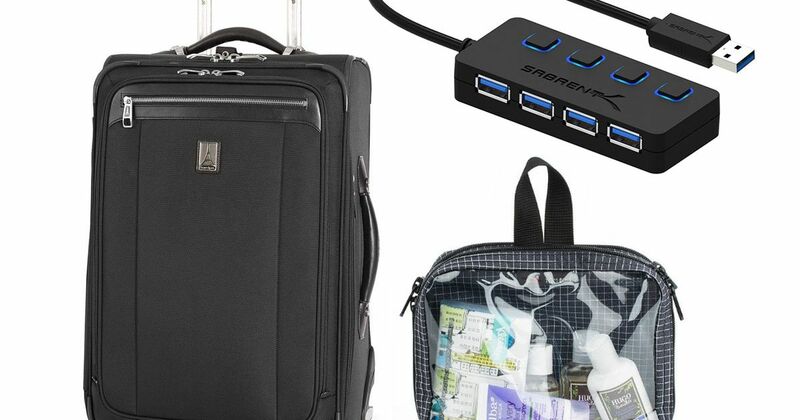 If you want to fight less on your holiday trips, the key is to pack less. Some more tips for making it through the holiday travel season with your sanity in the bag. If you’re unfamiliar, packing cubes are zip-up fabric containers, typically rectangular, which can help you better organize the contents of your luggage by compressing your clothes as you pack them. The Tom Bihn Clear Quarter Packing Cube ($32 at tombihn.com) is made in Seattle from ripstop nylon with a clear side made from urethane (rather than PVC). For most travelers, Dillon recommends the Travelpro Platinum Magna 2 ($184 at amazon.com) for its balance of size, price and reliability. Frequent travelers may also want to upgrade to the Briggs & Riley Baseline Domestic Carry-On ($569–$599 at macys.com), which carries extra features, including expandable room. Both fit most standard overhead size regulations, Dillon said. There are a few small items to include in your bag that can help you get multiple wears out of your clothing. Start with packing a spot-cleaning pen, said Megan Jerrard, who writes about her travels with her husband, Mike, at Mapping Megan. She also suggested traveling with a rubber stopper, a little bit of washing liquid and a line to hang-dry clothes. The idea of not bringing your own cellphone is probably too traumatic to ponder for more than a few seconds, so we won’t go there. But you might want to consider consolidating other devices, like laptops, chargers and cameras. Dillon suggests investing in a plug-in USB hub, such as the Sabrent 4-Port USB 3.0 Hub ($10 at amazon.com) that allows you to charge multiple devices at once. You’ll save on space and make your airport experience a little easier.